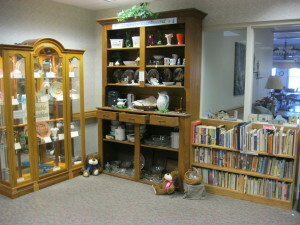 Located on the second floor of the Crest View apartment building, just around the corner from the elevators, is the Farm Crest Gift Shop. The gift shop is open from 1:00–3:00 p.m., Monday through Saturday. 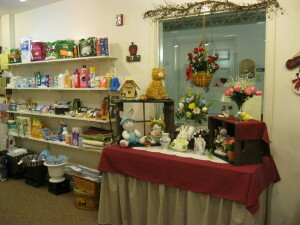 Here you can find all kinds of items, whether basic food items needed on an everyday basis, or holiday gifts, items handcrafted by residents, books, magazines, cards and snacks. 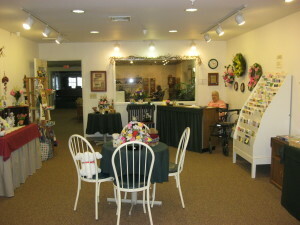 The gift shop is managed and run by resident volunteers, and is a wonderful place to meet for friendly conversation. Best of all, proceeds from the gift shop go to Fairmount’s Sharing Fund for the benefit of residents who have outlived their resources. 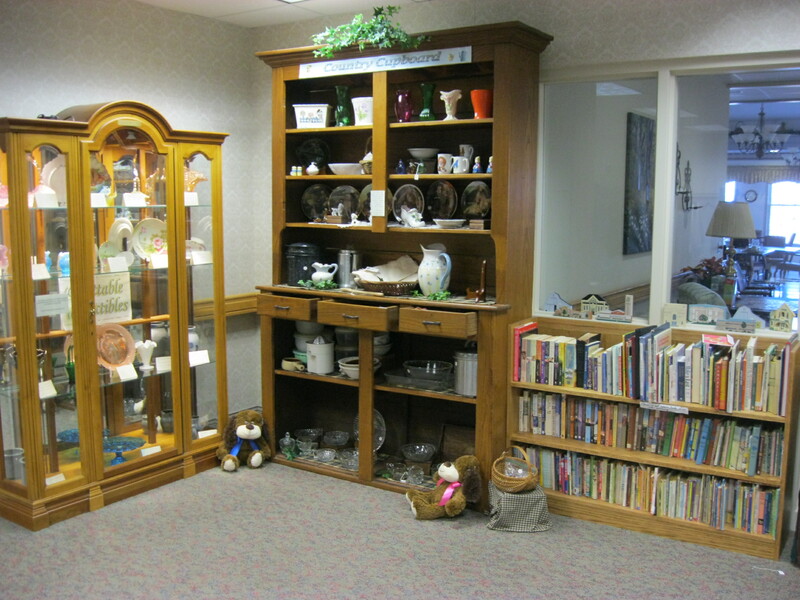 In the Wheat Ridge lobby, next to the Cats Back Café and the Delectable Collectibles cabinet, sits the Country Cupboard with its wide assortment of items, from old-time knick-knacks and set-arounds to kitchenware, vases, silverware, linen handkerchiefs, ceramics and stuffed animals. It is always fun to browse, even if you don’t find something to buy every time. Proceeds from the Country Cupboard go to Fairmount’s Sharing Fund for the benefit of residents who have outlived their resources.